This Privacy Statement covers all websites of the Academy of Nutrition and Dietetics and related organizational units. What information does the Academy collect and how is it used? The Academy does not collect any personally identifiable information (PII) from users browsing our websites. Only statistical data — such as the number of hits per page — is collected. This information is used only for internal and marketing purposes and does not include any PII. "Cookies" are small pieces of information stored by your browser on your computer's hard drive. They provide greater security for sites that provide personalized information. Cookies are commonly used by websites to provide identification. The cookie you accept is uniquely yours and can be read only by the server that gave it to you. Most Web browsers automatically accept cookies, but if you prefer, you can edit your browser options to block them. To gain access to members-only resources and personalization features on the Academy's websites, members and other users are asked to voluntarily register and/or provide their member login, as well as provide some limited information. The Academy asks members to provide their name, member number, business phone and email. Similar information may be submitted to the Academy through membership applications, conference or seminar registration, publication orders, subscriptions and contest registrations. The Academy uses this information to enhance its products and distribution of those products to its members. 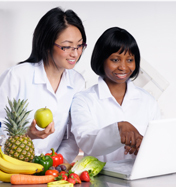 Information sent by email to the Academy of Nutrition and Dietetics is used to process the request or inquiry in the email. Our sites use forms for users to request information, products and services. We will collect visitor contact information (such as email address) and method of payment. Contact information from the form is used to process orders and to send information about the Academy. User payment information is used to bill the user for products and services. This site has a secure certificate issued by a certifying agency. The organization has verified the organizational name and that the Academy has the proof of right to use it. This site legitimately runs under the auspices of the Academy. All information sent to this site, if in an SSL session, is encrypted. The Academy collects credit card account information provided by our members and customers to process authorized payments. Our online surveys ask respondents for contact information (such as email address) and demographic information (such as zip code, age). We also may use data from our surveys to send the user information about our academy. Our online forms require users to give us contact information (such as name and email address), method of payment and demographic information. We use contact information from the forms to send the user information about our academy. The contact information is also used by the Academy to contact the user from time to time. Information regarding method of payment is collected for member enrollment, registration, to process orders for products and services, and for other uses. Except as provided below, we do not share your PII with non-affiliated third parties without your permission. Service Providers: We also may disclose information to outside companies that help us bring you products and services. For example, we may work with an outside company to: (a) process credit card transactions; (b) manage a database of customer information; (c) assist us in distributing emails; (d) assist us with direct marketing and data collection; (e) provide us storage and analysis; (f) provide fraud prevention; and (g) other services designed to assist us in maximizing our business potential. We require that these outside companies agree to keep confidential all information we share with them and to use the information only to perform their obligations in the agreements. In addition, the Academy may use your PII or disclose your PII to third parties to contact you about products or services we think may be of interest to you. We may disclose PII you provide via the websites in connection with the sale, assignment or other transfer of the business or a portion of the business of our site, including a corporate merger, consolidation, restructuring, sale of assets or other corporate change of our direct or indirect parent companies that affects us. Any information you disclose on any electronic mailing list or other open forum hosted by the Academy may be collected by others and used, without authorization by the Academy, to send you unsolicited non-Academy information or for other purposes. Any of the Academy websites may contain links to other external websites that do not fall under the domain of the Academy websites. Academy websites are not responsible for the privacy practices or the content of such external websites. The Academy does not endorse the content, products or services on other websites. Some users have reported that advertisements for products, such as diet pills, pop up on their computer screens when they log onto Academy websites. The Academy has nothing to do with these pop-up ads and does not sanction or control them in any way. These ads are triggered by software on the viewer's computer that may have been unwittingly installed as part of a free software package. The most common case is with music and file sharing software that is given away free to consumers. After installation, the software keeps track of the sites the user logs onto and when the person goes to any site that is on a special list, an ad pops up. Advertisers pay for this and select the sites they want their ads to be associated with. The Academy of Nutrition and Dietetics does not approve of this practice and has written to government leaders requesting that legislation be passed to prohibit it. These sites have security measures in place to protect the loss, misuse and alteration of the information under our control. The Academy of Nutrition and Dietetics welcomes your questions and comments about privacy. Please email webstrategy@eatright.org.